Brian Solis has just published a new version of his conversation prism. You have probably used one of the previous versions as the title graphic for your presentation on social media – it has almost become the default here. I used to use it as such, but then I stopped. I did this after someone attending a workshop said “whoa – stop right there. That’s the problem.” I asked what she meant and she explained that this picture simply illustrated why she was intimidated by social media – multiple segments, hundreds of bright shiny tools you need to be familiar with. 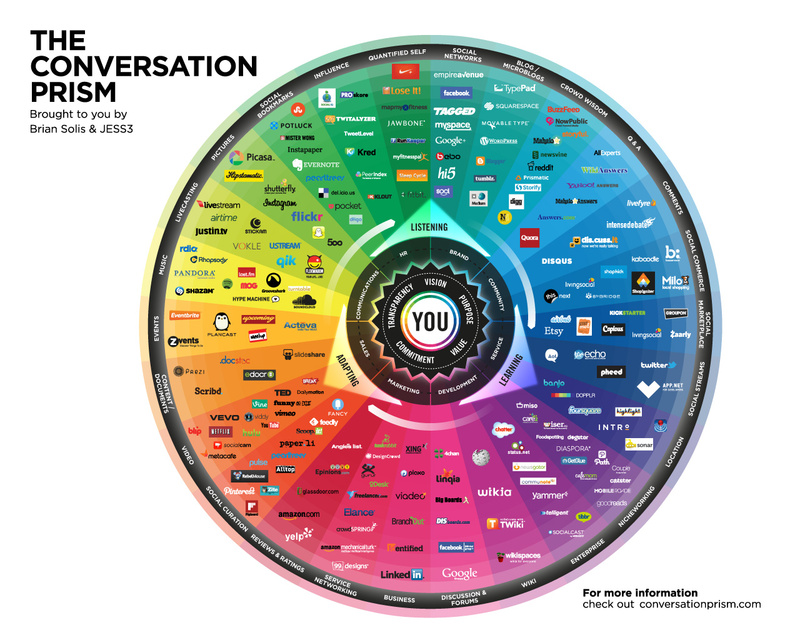 Unfortunately this doesn’t make for such a pretty graphic, but understanding this does actually help businesses understand both how social media works and also how they need to address this space. And, in-so-far as tools are important here, the most important ones are listening tools and, astonishingly enough, none of those feature in Brian’s prism. How can you have a conversation without first listening? 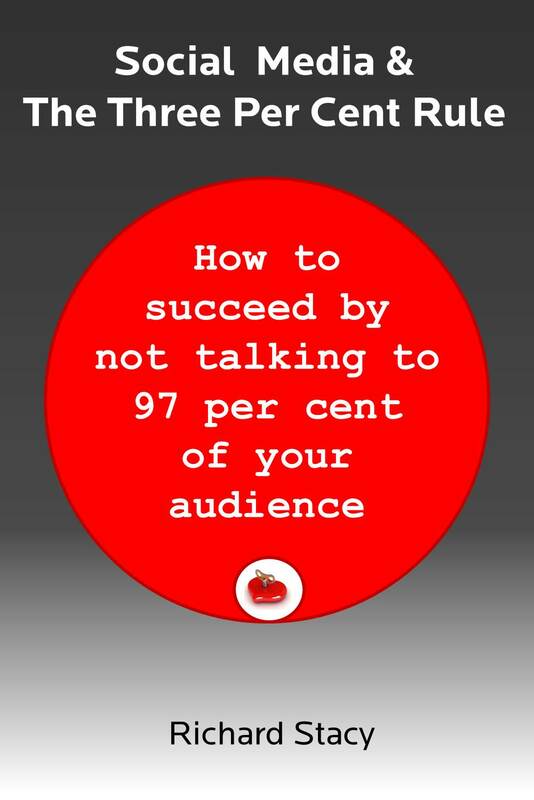 For more thoughts on why social media is about process, not about tools check out Social Media and The Three Per Cent Rule: how to succeed by not talking to 97 per cent of your audience.